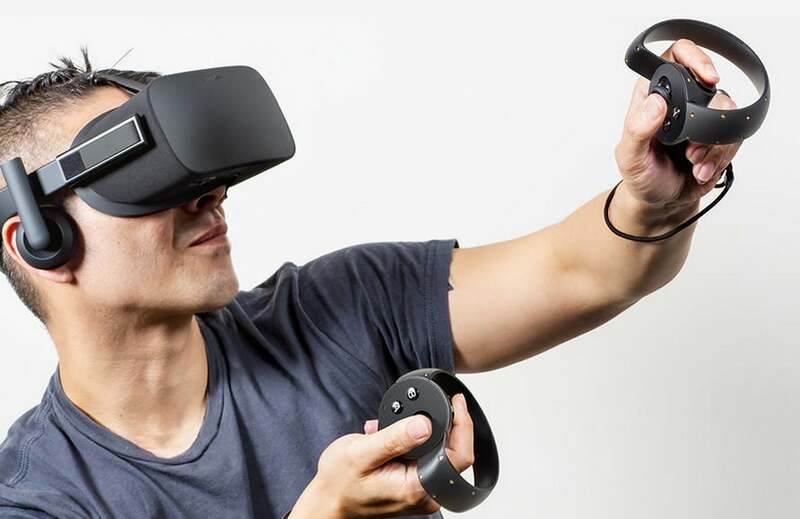 Rumors about the hotly anticipated virtual reality system Oculus Rift have been swirling for some time now, but many of the details remained shrouded in mystery. Earlier today – after a short initial delay – Oculus VR's CEO Brendan Iribe took the stage to shed some light on the virtual reality system. Speaking to an audience in San Francisco, Iribe didn't skimp on the drama. At long last, he said from his onstage perch, users will be able to "experience anything, anywhere. It is that powerful. For the first time we will finally be inside of the game. This is going to change everything…It is finally here." After dropping that each Oculus Rift will include an Xbox One controller and adapter, Iribe brought Phil Spencer, head of Xbox, onto the stage. "People will be able to stream their Xbox One games to the Oculus Rift using the controller that they know and love," Spencer told the audience, before announcing that Oculus VR and Windows 10 have entered into a partnership. Unfortunately, we don't have a release date yet, although Iribe narrowed it down to sometime in Q1 2016. As to pricing, Iribe offered no further details (the company has previously suggested that the Oculus plus a VR-ready PC will cost $1,500). As game developers, "there's always this unfulfilled promise, a distance between players and the worlds we were making for them," Jason Rubin, head of worldwide studios at Oculus, told the audience. "VR changes that. Finally, we can create worlds that feel real." To illustrate the point, a procession of game studio execs took the stage, each showcasing a game built explicitly for virtual reality (in 2-D, but there's no real way around that as of yet). They included: Hilmar Petursson of CCP who demoed EVE: Valkyrie; David Adams of Gunfire Games who demoed Kronos; and Ted Price of Insomnia Games who demoed Edge of Nowhere. Rubin then revealed a partial list of additional games coming to the VR platform in early 2016, including Damaged Core by High Voltage, VR Sports Challenge by Sanzaru Games, Esper by Coatsink, AirMech by Carbon Games and Lucky’s Tale by Playful Corp.
To illustrate its lightness, Iribe brought the Oculus Rift headset on stage. "I can hold it with one hand," he said, brandishing it about. Irbie went on to highlight additional design features such as the device's custom display and optic system, which eliminates "motion blur, judder or pixels…it feels as if you just put on a pair of glasses," and the strap architecture, designed to maximize comfort. "You're going to put it on like a baseball cap," he explained. The biggest reveal, saved for the end of the conference and delivered by Oculus founder Palmer Luckey, was the unveiling of Oculus Touch (codenamed Half Moon), i.e. a pair of hand and finger-tracking wireless controllers that allow users to manipulate objects, make hand gestures and experience "hand presence" within virtual reality. Luckey showed them off onstage, although he labeled them "a prototype." “This isn’t science fiction," Luckey told the audience. "This is reality, and it’s happening today."